have been run and refined a number of times in a variety of settings. allow children space for them to develop their own ideas and theories (find out more about interest led learning). use natural or recycled materials wherever possible. cover elements of KS3-4 science and maths. Build cookers from recycled materials. This workshop employs a lot of thermal physics and optics, as well as some aspects of geography. We have baked bread and meringues, and cooked rice and noodles in solar cookers before! What we do on the day depends upon what you want and what the sun is doing! Contains some deceptively tricky physics and requires careful construction - recommended for children aged 11+. (Topics covered include: insulation, conduction, radiation, specific heat, reflection, the sun's movement, the Greenhouse Effect). 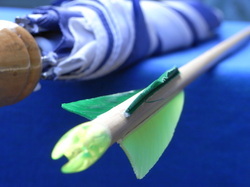 Using broken umbrellas to develop, test and build bows and crossbows. Use these to shoot your way through a mathematical adventure circuit. A workshop perfect for those aged 9+ interested in (humane) weapons who like to learn their maths while roaming wild! (Topics covered include: tension, bending moments, projectiles, drag, fractions, equations, statistics and averages). The day starts by building simple elastic band-powered paddle wheel boats. These are then refined as they are made electrically-powered. The paddle wheel is then replaced by a propeller... taking us on a brief history of boating. A workshop with some tricky ideas suitable for children 10+. (Topics covered include: stability, buoyancy, Newton's third law, simple electric circuits, streamline designs and energy transfer). Modify a bicycle so that it rides on land and water! This workshop starts with an open design phase before building begins. Throughout the day the structure is tested and modified, before a final test in water. Ideal for anyone with an interest in large scale hands-on work. We recommend that children are aged 12+, due to the taxing design and modification process. 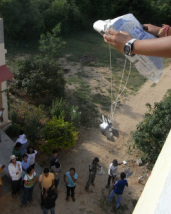 (Topics covered include: buoyancy, stability, friction, Newton's second law, rigid structures and gearing). (Topics covered include: buoyancy, levers, bending moments, circuits, conduction, reflection and lasers). Using materials from your recycling box, help an egg escape from a three-storey building, then end up in your mouth! Through experimentation and trial and error, develop a parachute and basket that has a large drag and that results in a soft landing. This is a short, but very exciting workshop suitable for ages 7 and up. (Topics covered include: drag, terminal velocity, acceleration). Build a scale model of a petrol engine using matches, convex lenses, some ethanol and the sun. 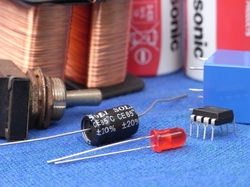 Develop this by creating a spark plug from the pizo crystal in a gas lighter. 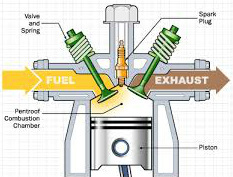 Take apart real four stroke engines and then, finally, make a short film of the combustion cycle of a four stroke engine. This workshop will bring to life the oily, metal, petrol-drinking monster in our cars that most of us take for granted. Recommended for children aged 10+. (Topics covered include: pressure laws, air/ fuel mixes, simple circuits, optics, flash points, the particle model of solids, liquids and gases). Create electricity from running water by building a turbine and a generator out of household equipment and then use electricity to create motion by building some simple electric motors. This workshop helps to connect children with the wonders of electricity that we enjoy everyday. There is the opportunity to extended our plans by building a working model of a gas and wood power station. Recommended for children aged 10+ who are interested in electricity and moving machines. (Topics covered include: energy transfers, electromagnetic induction, simple circuits, the motor effect, friction and efficiency). Amaze friends with toys that appear to break the laws of nature! (Such as the can that runs away and then comes back or the wheel that rolls uphill.) 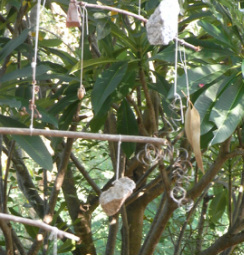 Then use natural materials to make hanging mobiles. This is a wonderful way for children 7+ to explore some of the fundamental ideas behind mechanics. (Topics covered include: energy transfers, centre of mass, moments and stability). Build a simple pin-hole camera, and then improve it with an adjustable lens which you can calibrate to help with focusing. Then mix and use a light-sensitive film (silver chloride) from an old silver candle stick. Finally, use a prism to help you create a camera lucida (used by Vermeer) and make some highly accurate drawings with its help! Perfect for anyone 10+ with an interest in photography or drawing. (Topics covered include: properties of light, chemical reactions, refraction, reflection, total internal reflection, binocular vision). Carry out a number of magical experiments which reveal the secrets of lift. Use your understanding to build record-breaking paper planes and then elastic band-powered balsa planes. Suitable for anyone over 10 who has ever wondered how planes fly. (Topics covered include: balanced forces, Bernoulli's principle, Newton's second and third laws, aerodynamics and energy transfers). Start by building simple elastic band-powered cars and modify these using trial and error, ready for the first race of the day. Then try wind-powered cars, but remember to keep them balanced. 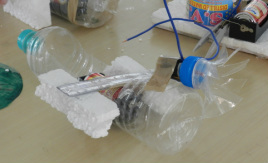 Finally we make small 3V motor-powered cars. Can we get the gearing correct so that the has enough torque to start moving from stationary, but still has a good top speed? A workshop ideal for anyone aged 10+ interested in cars, building or tinkering. Write the story, create the set and characters, direct and act! 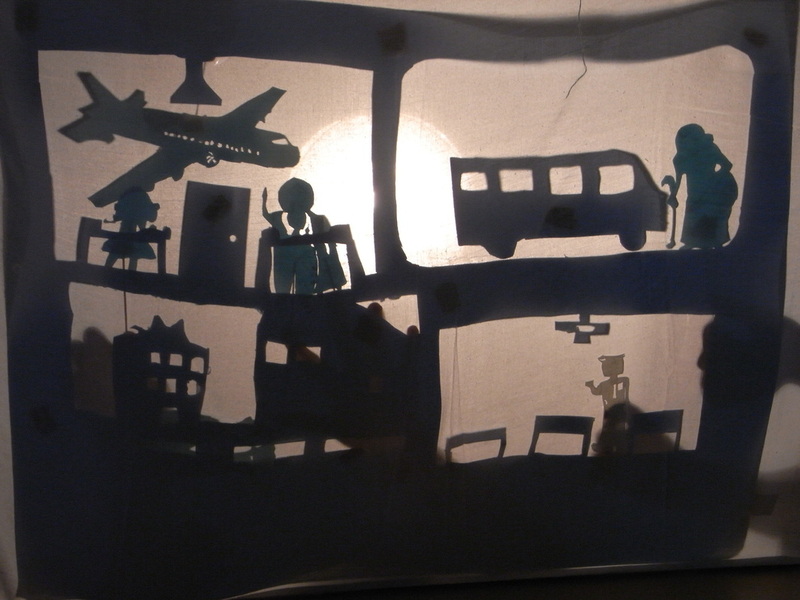 A wonderful way to become familiar with simple optics as well as the process of dramatizing a story. (Topics covered include: shadows, umbras and penumbras). Make and calibrate clocks with sand, candles, ball bearings, and then test them for simple speed calculations. The climax of this workshop is to design and calibrate a clock powered by running water using natural and recycled materials. (Topics covered include: measurement, units, calibration, moments and siphons). 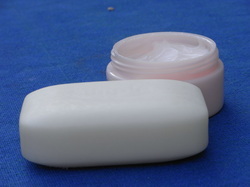 Experiment on the differences between soap and detergent. Investigate and test a number of lotions and creams and then use your findings to help you make your very own cold cream (based on beeswax). A workshop for anyone 12+ who has an interest in, or uses any cosmetics. (Topics covered include: emulsions, hard water, simple chemistry lab work). 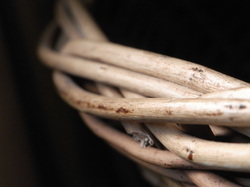 Learn what is probably the oldest surviving craft - be able turn some willow shoots into a beautiful basket. With this simple technique, you will be able to make baskets of any shape and size - big enough to climb into or small enough to hold jewelry. Willow and tools are provided. This workshop is suitable for children aged 14 and above; however, we have seen some excellent baskets made by younger children with an aptitude for this ancient art. Build compression bridges, suspension and human bridges, as well as some of your own and Da Vinci's designs. The workshop includes critical thinking games related to crossing rivers, such as a modified 'missionary and cannibal' problem. Crossing a bridge will never be the same again! 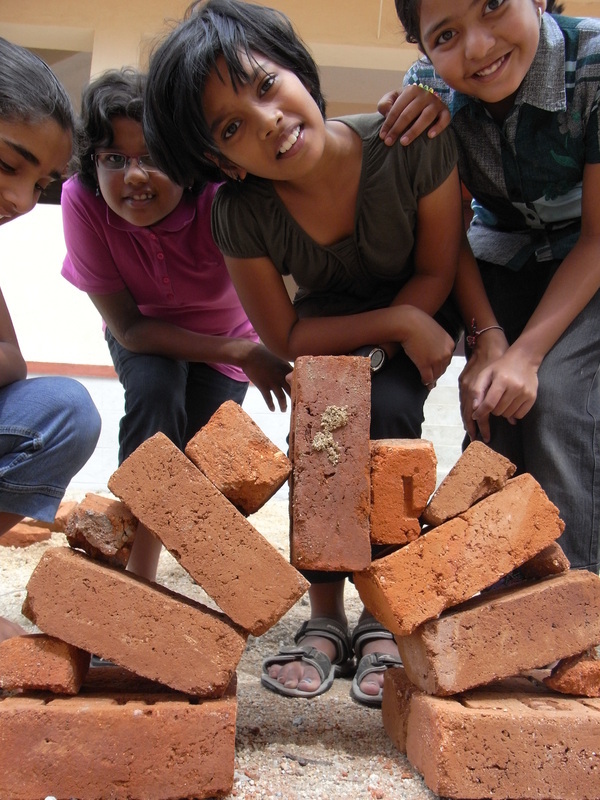 This workshop would suit anyone with an interest in building or construction aged 10+. (Topics covered include: tension, compression, weight, reaction forces, stability and bending moments). Above is a selection of some of the workshops on offer. They are designed to be led by children's exploration. The objectives are made clear, the materials presented, but no answers are given. We do not work towards one particular solution to a challenge, but support any approach that is taken. We believe that the process of learning is of vital importance and want children to develop confidence in their own approach (click here for the rationale behind this). At the end of each session, there is an opportunity for parents/carers to find out what their child has achieved as well as suggestions for follow-up to be completed at home. 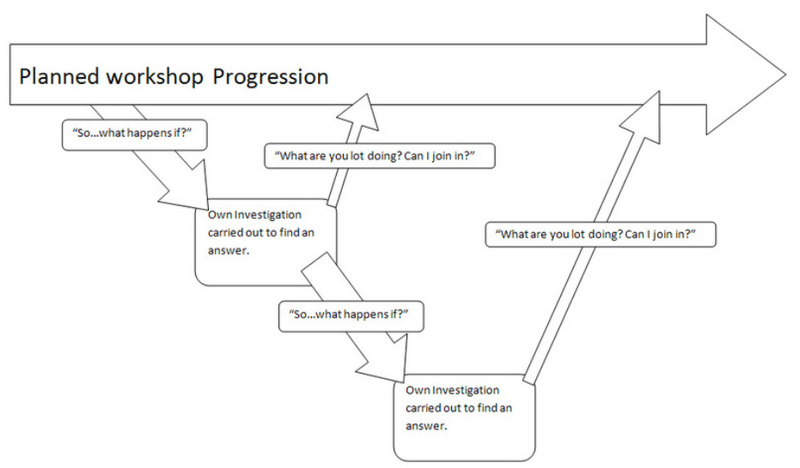 Above is an illustration of some of the paths that a child may take during a workshop. They may follow the planned progression by building, creating and investigating the topic in question. Alternatively, their work may lead them to a question which is not covered by the planned workshop ("what happens if...? ), then support, tools and materials will be given to facilitate this investigation. This investigation could lead to further questions (another "what happens if...? ), or when completed, the child is free to return to the planned workshop ("what are you lot doing? Can I join in? ").